Click Here To View Our 2018 Scholarship Recipients. The Hispanic League facilitates education for Hispanic students through the ESL Middle School Achievers Program and the Scholarship Program. By promoting diversity and multicultural understanding each year through many events, the Hispanic League is able to help narrow the gap in cultural differences. 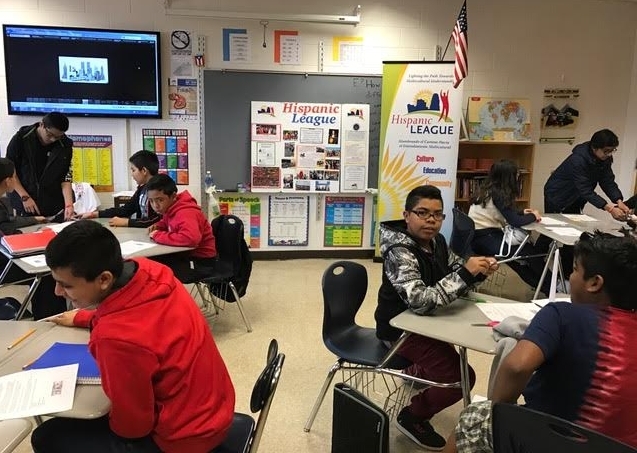 The Hispanic League partners with more than 20 community organizations to provide educational programming and assistance to the Hispanic community. Former Board President, Robert Garcia, shares his thoughts about the Hispanic League growing over the last 25 years and what he envisions moving forward. Sign up with your name and email address to receive monthly newsletters and updates. We respect your privacy and do not share information with any third parties.